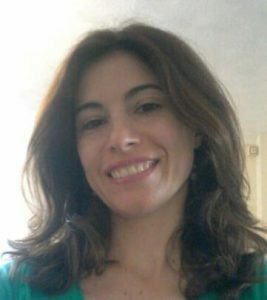 Alicia is a postdoctoral research associate (2013 – present) in Prof. Jim Kaufman´s lab at the Department of Pathology, University of Cambridge. She is working on a project that aims to develop a cheaper, easier and faster platform to identify the most effective portions of a pathogen for the development of better molecular-defined vaccines to halt the evolution of viral strains that will result in great losses to the poultry industry worldwide. This project is part of the DRREVIP consortium funded by BBSRC sLoLa. Before joining Prof. Kaufman´s group, Alicia had her first postdoctoral research training at the Department of Chemical Engineering (University of Almeria, Spain), the MRC-LMB (Cambridge, UK) and Biochemistry Department (University of Cambridge, UK) which helped her to gain further experience in generation of human monoclonal antibodies by using phage display technology and hypermutating chicken DT40 B-cells. She completed a joint PhD project between the Department of Chemical Engineering, (University of Almeria, Spain) and Prof. Michael Neuberger´s research team at the MRC-LMB (Cambridge) investigating the effect of CD40 expression and activation on antibody production in B cell hybridomas. Prior to this, she obtained her Bachelor Degrees in Pharmacy and in Biochemistry at the University of Granada, Spain, in 2002 and 2004 respectively.